Design is having a red-carpet moment. Tech, consulting and financial firms are snapping up design agencies. Over a third of the top 25 funded startups are co-founded by designers. And The Design Management Institute found that design-led companies outperformed the S&P by 219% over the past 10 years. Brands have realized that good design is no longer a nice to have — it is now a business imperative. It's a way for brands to express themselves, a mindset to solve complex business challenges and a means to build emotional connections with customers. Design can be transformational, but only when it delivers a bigger purpose. This requires looking inside the culture of the company to understand its DNA, heritage, capabilities and hidden assets and looking outside to understand customers, the competitive context and the vision for where things are headed. When Southwest Airlines sought to refresh their image, they looked to their history and culture to find inspiration for the design. From this came the insight to focus on what has always made Southwest great: its emphasis on people as symbolized by its most important asset, the heart. Placed on the belly of the plane and beside the boarding door, the heart is a meaningful symbol to the crew. 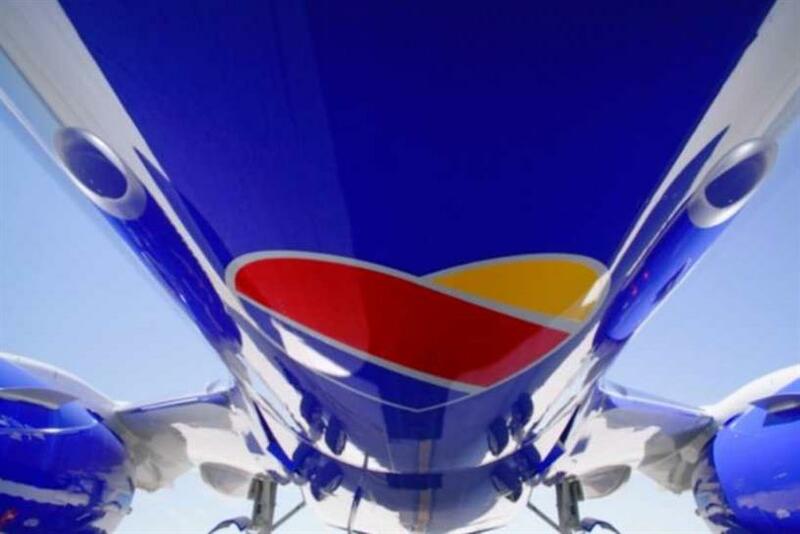 On the items passengers hold in their hands, it is an intimate reminder of what the Southwest brand is really about. Collectively, these elements help express Southwest Airlines’ purpose with meaning — a human brand fueled by people. Brand expression today is as much about what an organization does and how it feels as it is about what it says. For many of today’s most innovative and up-and-coming brands, it’s the experience that is driving growth and differentiation. When Hyatt acquired AmeriSuites, it had the opportunity to reinvent the brand and business travel from the ground up. A new name, Hyatt Place, was selected along with a visual system centered on a "Larger Than Home" concept: a place where customers can settle in, work easily and relax comfortably. The idea came to life through the design of signature moments, spaces and experiences. Rooms are designed to have a home-office feel. In common areas, guests are greeted by branded music that varies by time of day. Signature scents differentiate the sensory atmosphere from other hotels. Hyatt Place immerses customers in a bigger, emotionally centered idea by creating an experience for the weary business traveler that feels like home, or even a bit better. Brands must be responsive participants in the rapid-fire dialog of today’s always-on digital consumer. As a result, symbols have become more iconic, language more conversational and actions more playful. Design systems are now built for what we want consumers to see and hear, as much as what we want them to feel in each moment. When creating the brand for Samsung’s streaming radio service, the goal was to create a disruptive and personal offering that would challenge users’ perceptions of the Samsung brand. This strategy came through in every aspect of the service, from the algorithm and user experience, to the Milk name, symbol and identity. As the user rolls the dial, changing backgrounds and color gradations reflect the responsive nature of the service itself, as if the design is tuning into the tastes and moods of the individual. The adaptations not only reinforce the promise of the brand — to help users widen their taste by finding music they weren’t looking for — but set it apart in the crowded market. Real emotional connections are built in the countless interactions customers have with brands each day. From an "off the script" empathic phone conversation to a random act of surprise, these are the moments that unconsciously determine our relationship with a brand. And yet, they receive very little thought from companies worldwide. One interaction that is consistently overlooked is the customer bill. British Gas saw the opportunity and transformed theirs from being a communication demanding money to a guidepost for saving money. Clearly delineated, color-coded sections were organized around basic questions customers wanted the bill to answer. Language was softened and made more intelligible. By humanizing the communication, British Gas was able to reduce calls to the call center (saving the company over a million dollars annually) and to make an unnecessarily complicated experience that much more enjoyable. To help navigate our increasingly complex world, we seek out simplicity. Yet simplification doesn’t (and mustn’t) mean generic, bland or undifferentiated. Simplification is just the first step in creating space for joy and surprise. Starbucks is a great example of a brand that simplified to seduce. By paring back the logo and removing the words "Starbucks Coffee" from its identity, the brand’s iconic Siren emerged more alluring than ever before. Her destiny was to curate a new enticing experience of the Starbucks brand, not just new offerings. She became a guide for the brand’s holistic experience, from the patterning used in the app to the company's high-end credit cards. These experiences became richer and more emotive thanks to the simplified yet emboldened Siren. While the traditional mission of identity design was to ensure a consistent presentation of the brand, design’s role has changed. Design is to business what evolution is to nature: it enables brands to change and survive. Design has become less a visual strategy than a means of facilitating continuous dialogue – the key to building emotional connections in an increasingly complex world. Connie Birdsall is creative director of Lippincott.